This is first part of an article in 3 parts on ancient World History and Indian history. It looks at the ancient history of world and India, given in Hindu sacred books including Veda, Puran and Brahman stories, based upon the works of an eminent Hindi writer, Acharya Chatur Sen (1891-1960). Part 2 explains the context of writings by Sen, while part 3 presents the main ideas of world history in Sen's work. Acharya Chatur Sen, a trained Ayurvedic doctor, was a prolific Hindi writer and published 186 books including 32 novels, more than 450 short stories, and many non-fiction books on themes as diverse as politics, history and Ayurveda. Apart from a strong interest in ancient Hindu sacred books, he also wrote about history of Islam in India. (a) Vaishali ki Nagarvadhu (वैशाली की नगरवधु, The courtesan of Vaishali, first published in 1949 by J. S. Sant Singh and Sons Delhi for Hindi Vishwabharati) about a courtesan called Ambapali during the time of Gautama Buddha, a few centuries before Jesus. (b) Vayam Rakshamah (वयं रक्षामः, We are Raksha, first published in 1955; from the edition published by Rajpal and Sons, Delhi 2009) about Raavan, the mythological king from Ramayana. Each of these books carries a long list of ancient texts that were consulted by Chatur Sen for writing that book. 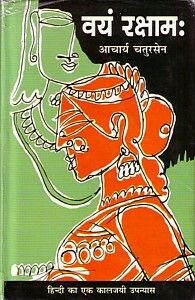 Vaishali ki Nagarvadhu, the first book in this series, was dedicated to Jawaharlal Nehru and in preface of this book Chatur Sen had explained that though a work of fiction, the book was attempt to remove the "black curtain that has hidden the defeat of religion, literature, royal governance and culture of Aryas, and the win of progressive cultures of mixed races, during thousands of years, that have not been tackled by historians." He had also explained that writing that book had taken "ten years of research in the cultures of Aryas, Boddh, Jain and Hindus". By the time, "Vayam Rakshamah" came out in 1955, Chatur Sen was 63 years old and not keeping very well. In the dramatic preface of this book, Sen declared that "he had put in all the learnings and knowledge, both emotional from his heart and logical, from his brain, into writing this book and he had no more left to contribute." About his own mental condition he had written, that like horses, bulls and donkeys, who can die while pulling heavy burdens, he might also die because of burden of writing this book." In this book, I have presented the forgotten word-pictures of different human clans such as Nar, Naag, Dev, Daitya, Danav, Arya, Anarya, etc. from pre-vedic times, who had been seen through the coloured lenses of religion and mythologised into gods of the heavens. I have the courage to present them as human beings. "Vayam Rakshamah" is certainly a work of fiction, but at the same time it is the result of deep study of Ved, Puran, philosophy and foreign texts ... it the summary of my life's work. This book was accompanied by an accompanying explanatory book, to justify and reference whatever he had written in the book, with notes from different sources that Sen had studied. Upinder Singh in "A history of ancient and early medieval India" (Dorling Kindersley India, 2008) had written, "History is not one but many stories, only a few of which have yet been written. ... there are two parallel images of ancient South Asia - one based on literary sources, the other on archeology." About the ancient texts, Singh wrote, "Ancient texts are much older than their surviving scripts, and have a life of their own. They have grown and changed over time, and this process of growth and change - the period of composition - could in some cases have lasted for hundred of years before they were compiled or given a more or less final shape." The descriptions of ancient Indian and world histories, from analysis of ancient Indian texts, have been attempted many times, by scholars from different disciplines, from India and many other countries. Continuing archaeological excavations as well as new technologies such as satellite mapping imaging, have provided new corroborative evidences to the the different theories. Still I think that it could be interesting to look at the conclusions about the ancient world events during prehistorical times, at which Acharya Chatur Sen had arrived through his decades long studies. I don't think that people have seriously taken a systematic look at the literary works of Indian authors writing in Hindi or other Indian languages, in terms of analysing their ideas and their implications. This article is mainly based on the descriptions in Sen's book, "Vayam Rakshamah". End of part one of a three parts article. Part 2 explains the context of writings by Chatur Sen, while part 3 presents the main ideas of world history in Chatur Sen's work. 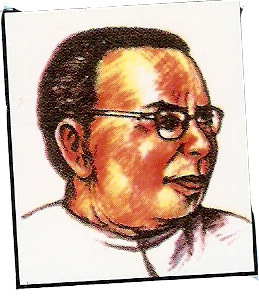 Note: Special thanks to Sanjay Bengani and Sameer Lal for the image of Acharya Chatur Sen! 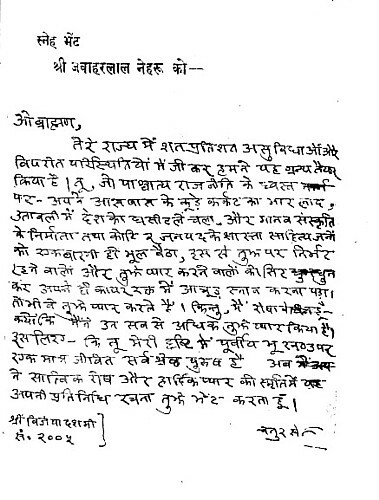 BTW, Vayam Rakshamah (वयं रक्षामः) does not mean "We are Raksha" (what does that mean?) but "we will protect". Thanks for the clarification. I don't know Sanskrit and I had translated it in the sense I had perceived its meaning in the novel - that "we are part of a new Raksha culture" (which was later called Rakshas culture?). At the same time, I can see, that by joining a new group, the group also guarantees protection. Hmm, the title means something like (Hindi) "हम रक्षा करेंगे", but your comment made me wonder about the origin of "राक्षस" and look it up... apparently, it comes from रक्षस् which (in a sort of inversion of the meaning of रक्षा) means "anything to be guarded against or warded off, harm, injury, damage". Thanks for the post, BTW! Beeney Raksh, the book tries to do the opposite. The book explains that Rakshas were persons of deep culture and cousins of the Devas, though ultimately they came to be seen as enemies. Ravi, as far as I know, this book has not been translated into English!